On this federal tax deadline day, some Iowans are considering changing their withholding allowances. Federal tax cuts enacted late last year put more money into our checks, but the higher take-home pay could end up being a tax liability. Iowa Senator Chuck Grassley says the tax cuts were “absolutely” worthwhile and are a benefit. “I would look at it from the big picture of economic growth,” Grassley says. 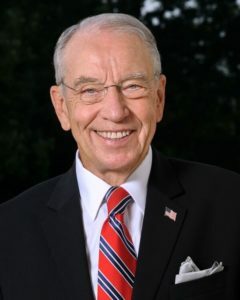 “For eight years, we had economic growth of 1.4% and we’ve gotta’ have 3% economic growth and one way to do it is to cut taxes.” Grassley says that money can be better spent by the people who earned it than by Uncle Sam, as he says politicians in Washington too often let politics influence how those tax dollars are allotted.